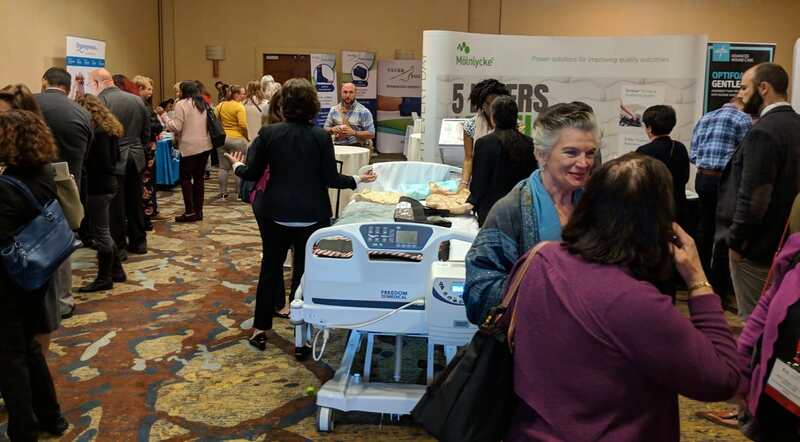 Frontier Medical Group and their UK-developed pressure offloading portfolio were among several solutions introduced to US clinicians at the 2019 AAWC Pressure Ulcer Summit. 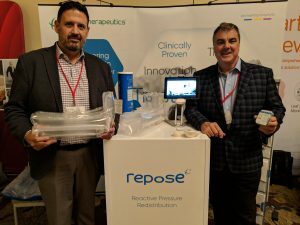 Many attendees shared very positive feedback that they appreciated being able to dive deep into the pressure ulcer diagnosis, etiology, and treatment delivery, as opposed to covering many types of advanced wounds at a basic, surface level. In keeping with this approach, the next AAWC conference/education series will be a Wound Infection Summit to dive deep into the unique considerations for prevention and management of those wound types. Immediately following the summit, I had the opportunity to sit down with Kara Couch MS, CRNP, CWS. In addition to her active clinical role at The George Washington University Hospital’s Wound Healing and Limb Preservation Center and multiple scientific and editorial advisory board positions (including Today’s Wound Clinic together with Diligence Wound Care Global Managing Director Rafael Mazuz), she is also a board member and Secretary of The AAWC.